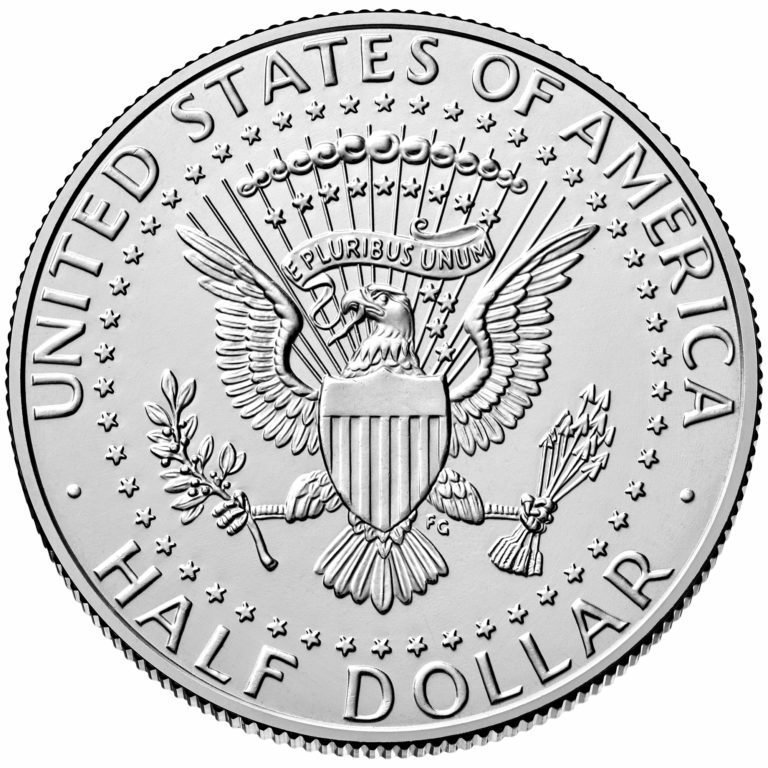 From 1794 to 1947, the half dollar, like many coins of the time, was made of silver and decorated with an allegorical image that symbolized liberty on the obverse. In 1948, Benjamin Franklin’s likeness was placed on the obverse and the Liberty Bell on the reverse. During the bicentennial years 1975 and 1976, the reverse featured an image of Independence Hall in Philadelphia. 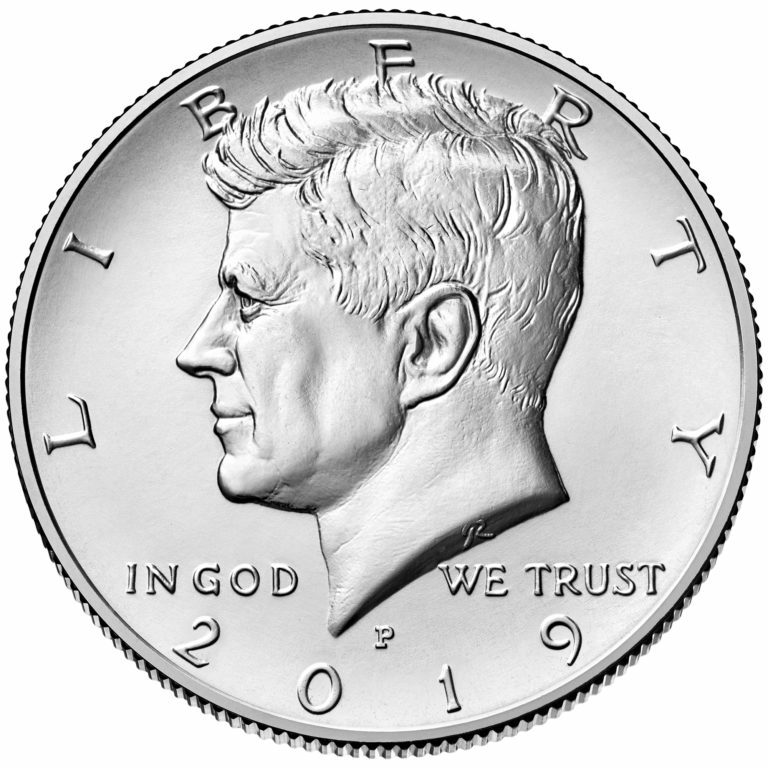 Kennedy half dollars were first minted in 1964 to commemorate the president after his assassination in 1963. 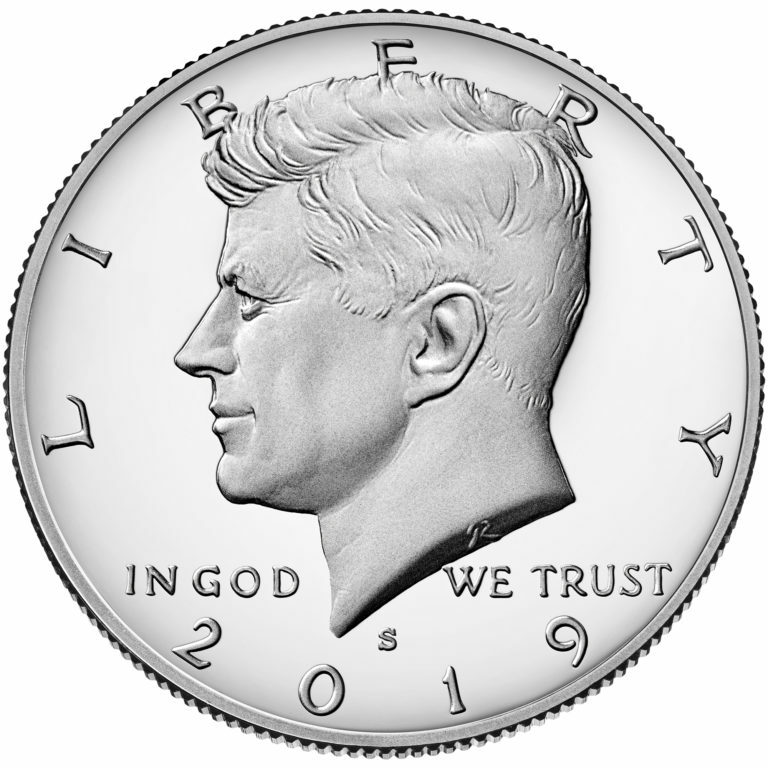 Kennedy half dollars are minted and released each year as part of annual coin sets and other numismatic products but not issued into circulation. 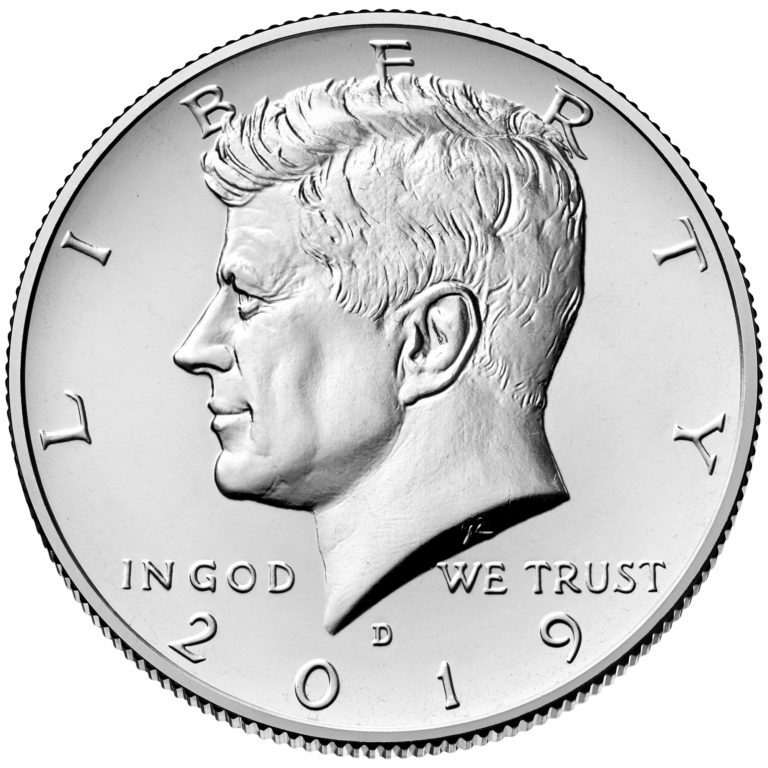 Obverse (heads): A portrait of President John F. Kennedy based on a portrait prepared for his presidential medal. 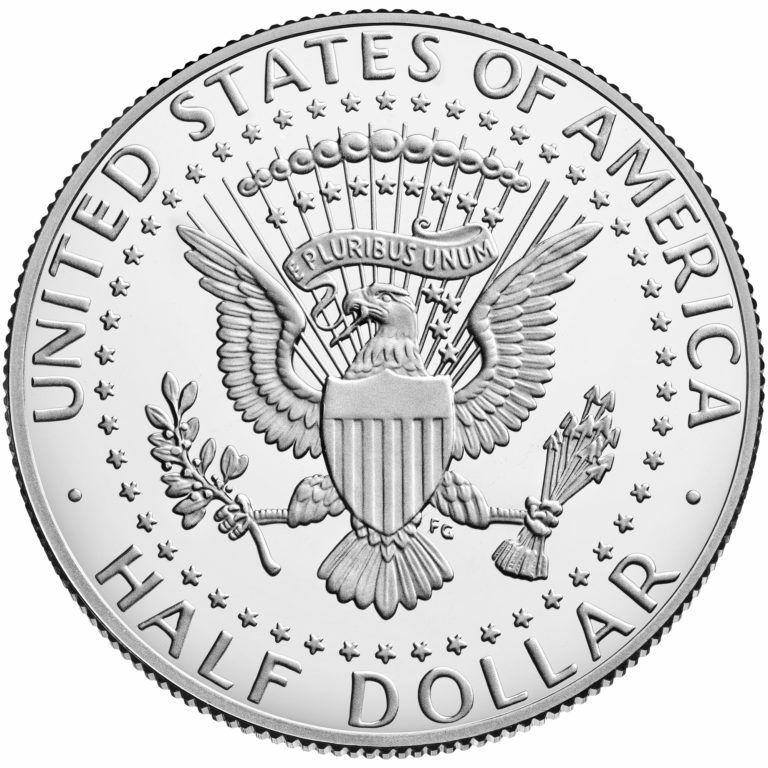 Reverse (tails): Design is based on the Presidential Seal. It consists of a heraldic eagle with a shield on its breast holding a symbolic olive branch and a bundle of 13 arrows. A ring of 50 stars surrounds the design.